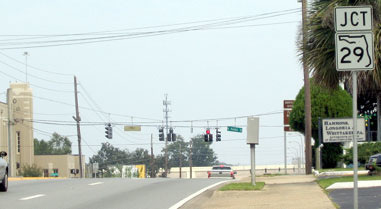 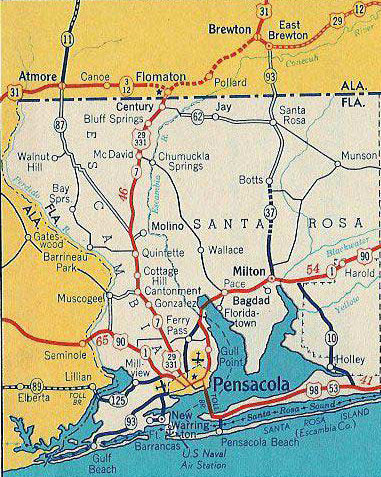 When the US routes were first commissioned in 1926, Pensacola was served by east-west US 90, and by north-south US 331 (which branched off US 31 at Flomaton AL). 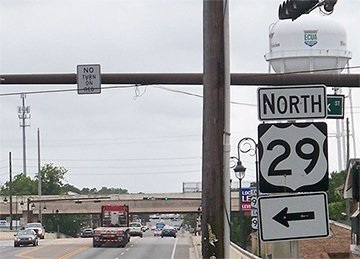 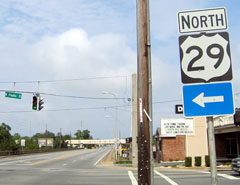 In 1935 the US 29 designation was extended south from Tuskegee AL; it met US 331 at Flomaton and the two routes were overlapped down to a common terminus in Pensacola. 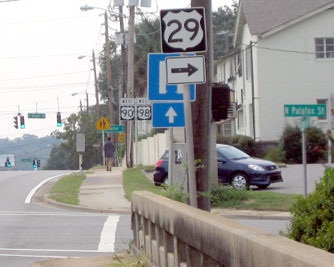 This concurrency lasted two years, until US 331 was decommissioned (today's US 331 is a different route). 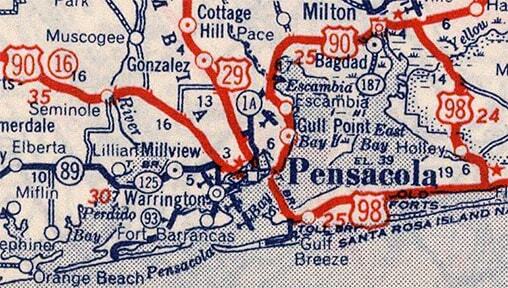 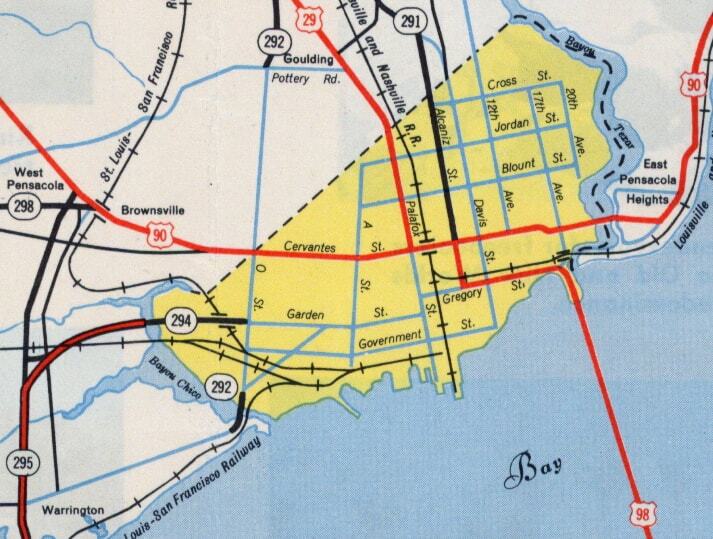 The earliest detailed map of Pensacola with US highways that I have seen is the inset from Florida's 1936 official. 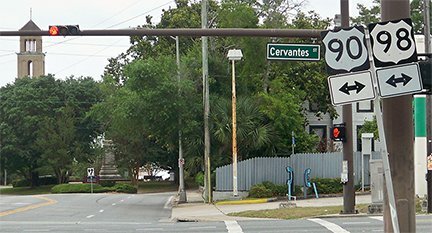 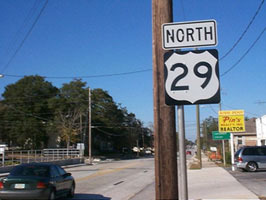 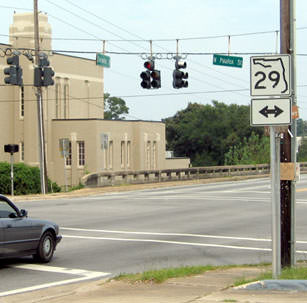 Its quality is not good enough to reproduce here, but US 29 was shown on Palafox Street, ending at US 90, which ran along Cervantes Street. 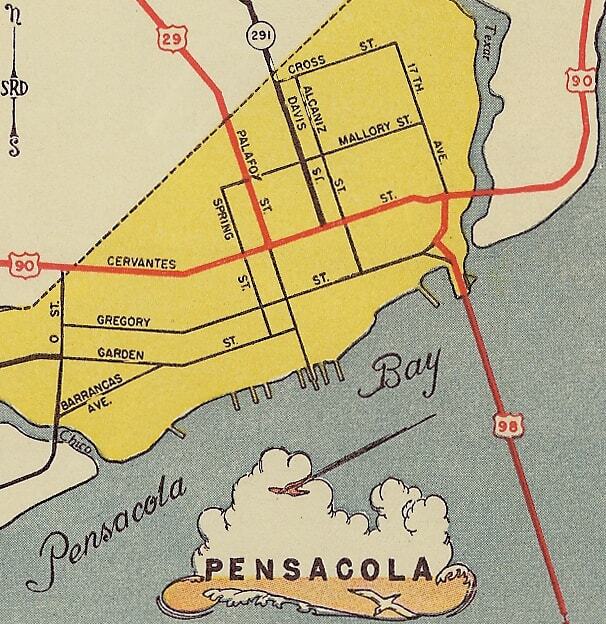 Even though downtown Pensacola is several blocks south of there, to my knowledge US 90 traffic was never directed down that way. 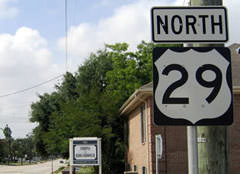 So presumably US 29 has always ended at that intersection, and probably US 331[i] did as well. 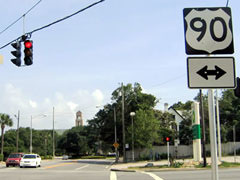 ...and by 2006 that "interstate" arrow (white-on-blue) had been replaced with a "state route" arrow (black-on-white). 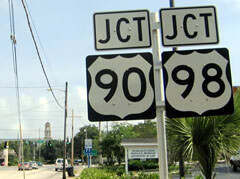 Straight ahead was probably the west beginning of US 98 for a couple decades.